The HINE House is located on the banks of Charente, in the heart of the Cognac region, in Jarnac. In its winery, which ensures the preservation of precious vintages under seal, few things changed in 250 years. 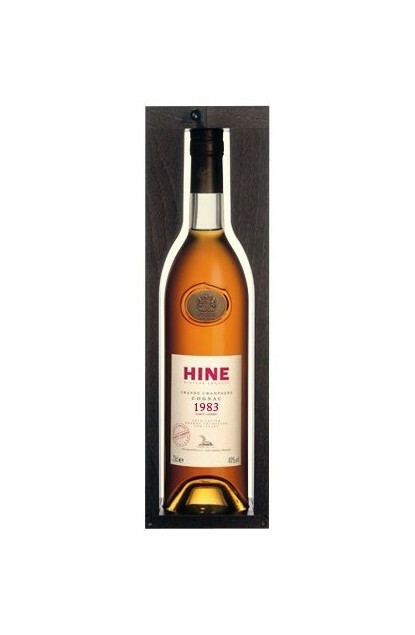 The HINE Cognacs travelled around the world from nearby docks. This House, founded in 1763 by Thomas Hine is one of the oldest Cognac Houses. Thomas, then aged sixteen, left his family home and headed for France, setting foot in Nantes in 1791, he then travelled to Bordeaux, where he stayed for a while, before continuing to Jarnac, a small town just east of Cognac. Since 1763, Jarnac had been the base for the négociant's premises where Thomas was to create his father's favourite cognac. He began his employment as a clerk. Thomas ends up meeting Elisabeth, daughter to a prestigious trader. Love at first sight. In 1796, at the age of 22, Thomas weds Elisabeth. Thomas fully master finance and trade. He develops the House’s traditional activity and in 1817, he gives to the company the name it stills carries today : Thomas HINE & Co.
Every family member would make their contribution to the House, whose current manager is Bernard HINE, a seventh generation. The HINE logo, a stag, was trademarked in 1867. Among a wide range of Cognacs, the Premier Grands Crus House only chose Grande Champagne Cognacs, Premier Cru of the Cognac region : the XO, TRIOMPHE and the House’s famous vintages.